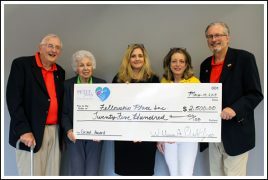 Fellowship Place has been awarded a $2,500 grant from the Petit Family Foundation to purchase art supplies for the agency’s Expressive Arts program. 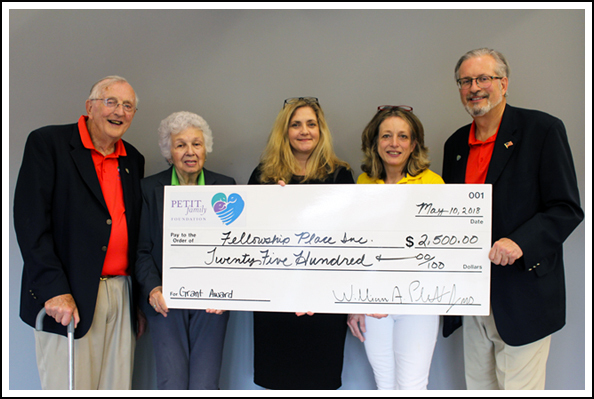 The Petit Family Foundation honors the memories of Jennifer Hawke-Petit, Hayley Elizabeth Petit and Michaela Rose Petit by continuing the kindness, idealism and activism that defined their lives. The Foundation’s funds are given to foster the education of young people, especially women in the sciences; to improve the lives of those affected by chronic illnesses; and to support efforts to protect and help those affected by violence. In its 58th year of service, Fellowship Place serves over 750 people who are living with a serious mental illness. Nearly all face poverty, inadequate housing, unemployment, and poor physical health. Almost half have been homeless at least once in their lives. Open 365 days a year, Fellowship Place’s campus is a multi-purpose, one stop center where clients receive counseling & case management services to help them learn and practice social skills and other daily living skills that will help them increase their independence. Services include help with basic needs, meals, socialization, skill-building groups, job training & career development services, expressive arts programs, computer classes, and physical recreation. The agency also provides supportive housing for 45 individuals who live in apartment buildings located on and near the main campus. Fellowship Place is committed to helping the mentally ill, their families, and the public realize that with proper treatment and support, people with a mental illness can be successful and contribute to the vibrancy of our community.